The album or EP cover art is an important part of every musicians’ career. But most musicians don’t give the cover art enough thought and consideration. It’s often rushed, or no one wants to hurt the feelings of the designer. Sometimes that designer is someone in the band! Novice bands make it their priority the art illustrate the album or EP title. This is a mistake. Cover art is so much more than this. 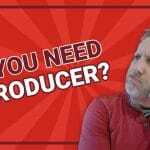 In case you missed it, be sure to go back and check out our recent post answering the question ‘Do You Need A Producer?‘! First, use your cover art to introduce yourself to new fans. This means, you need to stand out and be different while still being attractive to the people you want to listen to you. Stay on brand. You want to make sure your art looks like the quality and aesthetic consistent with everything else you present to the world. Second, you need to think about how your cover art will translate to merch. If your art is challenging or difficult to visualize on t-shirts, LP covers, or stickers, don’t do it. And if you’re a band on a budget, it doesn’t make sense to make full color cover art when your merch will always be on one or two color presses. Sometimes, simple and iconic is better than elaborate and intricate. Third, think about how your cover art is a launching point for other visual presentations of your band. Does it inspire music videos? Can you create single art that derives easily from the album art? You want to make your cover art immersive. What I mean by that is to create a visual theme around your entire album cycle that derives from the art itself. This extends throughout your merchandise, of course. But it could even extend to your stage set, your band photos, even your interviews! I have one additional item worth mentioning. When naming your album, think of the SEO! 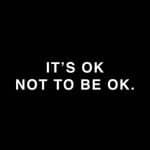 People will look for your album or EP online and they may know the name of your album, maybe from the title track, but not know the name of your band. Make sure if you google search your album name (use Incognito!) it will show on page one. Search using combinations of your album name and band name, your hometown, your genre, or any other combination you think could bring up a conflicting result. While you’re at it, try to make sure your cover art hasn’t been used before using a Reverse Image Search. You don’t want to find out the artist is re-using an idea, or stealing someone else’s, after it’s too late! Check out the video down below and please like and comment. What is your favorite cover art of the last few years. WHY?! ?